This year, on January 16, I once again had the opportunity to attend the Night of the Museums (Museumsnacht) in Basel, Switzerland. This time I was assigned by two institutions, namely HEK (House of the electronic arts) and Atelier Mondial, to capture the atmosphere in their premises and some of the key moments for the night. 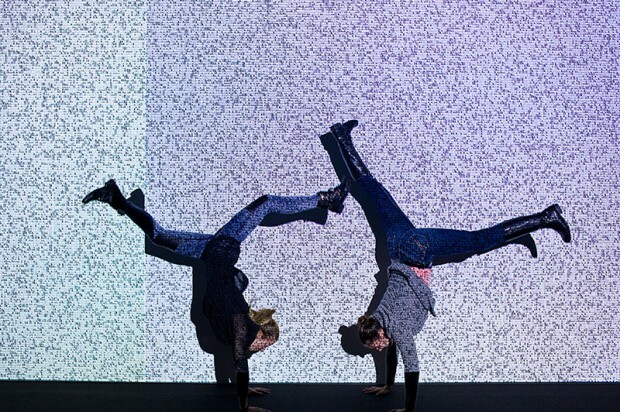 The 15th edition of Night of the Museums in Basel marks the cultural beginning of the new year. 39 museums and host institutions offered more than 180 programs to approximately 30,000 visitors in the hours between 6:00pm and 2:00am. 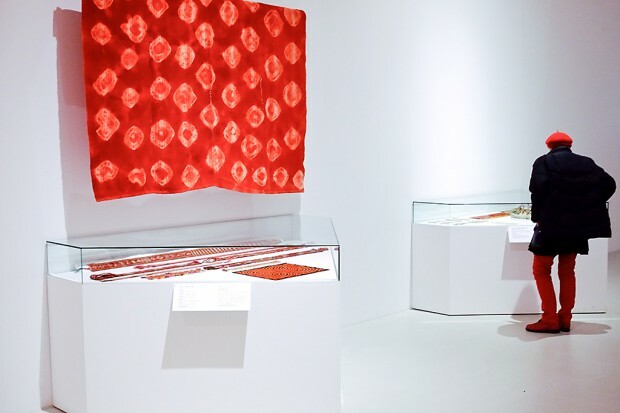 Here are some impressions of this cultural palette. 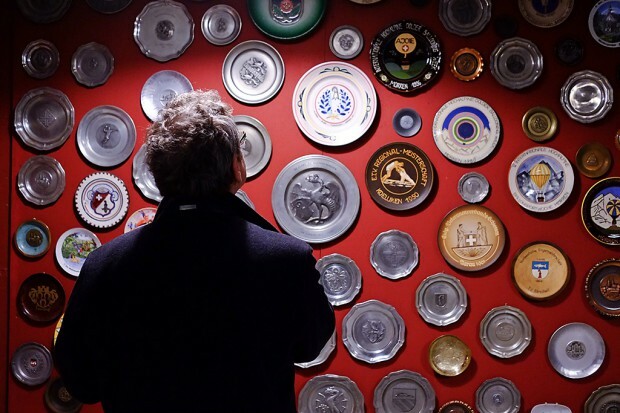 A visitor observing an exhibition in the Museum of Sports in Basel. January 16, 2015. 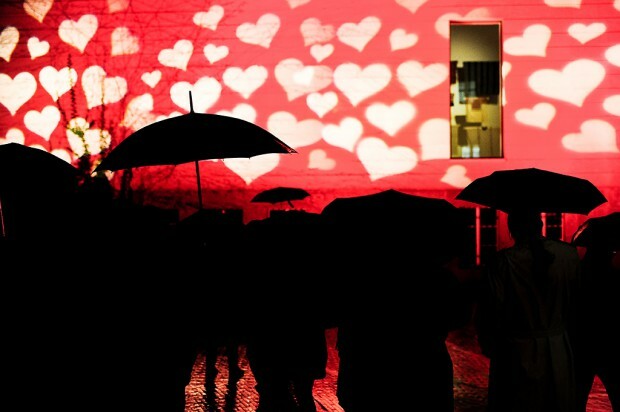 Visitors with umbrellas observe an outdoor lighting show in front of the Museum of Cultures in Basel. January 16, 2015. A visitor observes an exhibition at the Museum of Cultures in Basel. January 16, 2015. 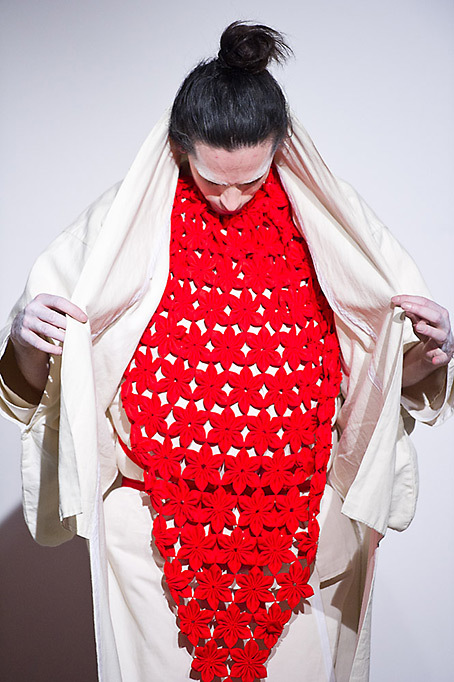 Dutch artist Gwen van den Eijnde during his Japan-inspired fashion performance at Atelier Mondial. January 16, 2015. 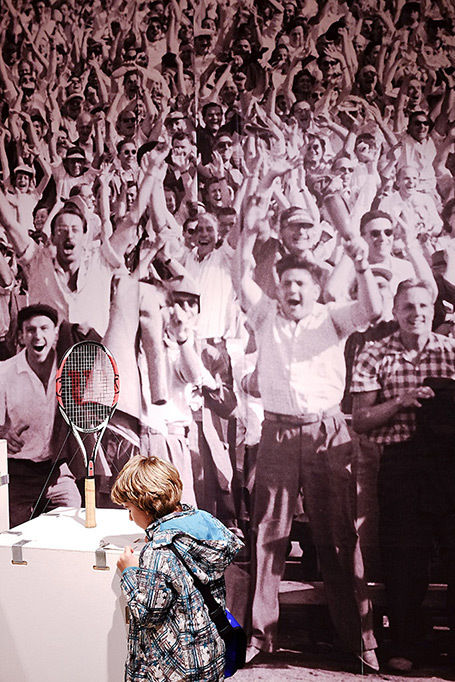 A young visitor observes the tennis racket of Roger Federer at the Museum of Sports in Basel. January 16, 2015. Visitors at the HEK (House of electronic arts) during the 15th edition of Night of the Museums in Basel, Switzerland. January 16, 2015.